Big Pete Pearson is considered to be Phoenix’s King of the Blues. Big Pete is simply an amazing blues singer. He has been fronting bands in the Southwest since the 1950’s. Bob and Big Pete have a long history of playing and recording together which started almost immediately upon Bob’s arrival in Phoenix in 1981. Here are some memorable photos of this master of the blues. Early 1980s! Bob Corritore, Big Pete Pearson, Bob Tate, Larry Rhymes. Big Pete Pearson needs no mic! Big Pete Pearson Blues Band, early 1980s. Top row: Bob Corritore, Big Pete Pearson, Elmer Scott. Middle row: Bob Tate, Dr. Fish. Bottom row: Emerson Carrethers, Matt Roe, Larry Rhymes. Patti Williams sings as Big Pete Pearson and Sam Taylor watch! Early 1990s, Rhythm Room, Phoenix. 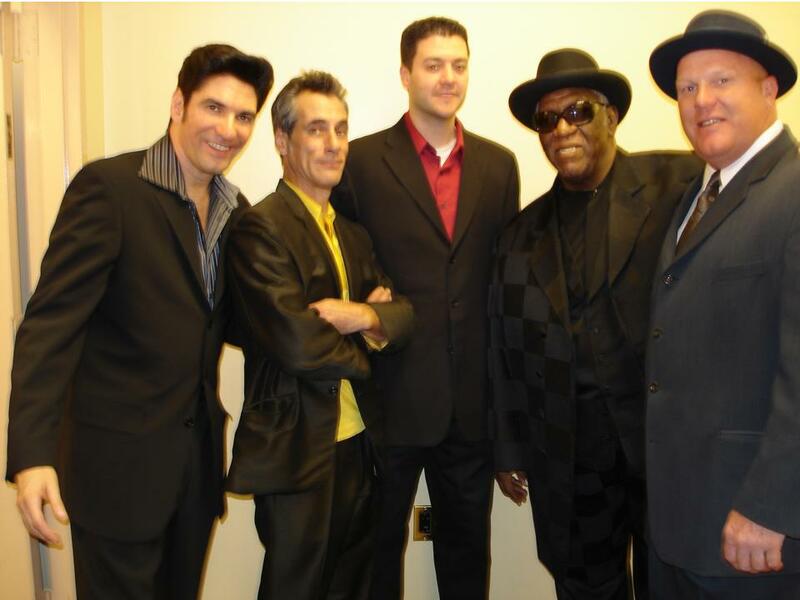 Big Pete Pearson and Rhythm Room All Stars (Bob Corritore, Chris James, Big Pete Pearson, Patrick Rynn, John Rapp) at the 2006 Bay-Car Blues Festival, Grande-Synthe, France. Photo by Jocelyn Richez. Bob Corritore, Big Pete Pearson at the Rhythm Room, Phoenix, 2007. Photo by Dave Blake. Pete has been a friend of mine over 40 years. I’ve have followed him all this time. Would be great to talk to him again. 480 343 4434.